It has become a matter of institutional dogma at Harvard that a year off before college is a Good Thing. In a letter to parents warning that ambitious students often “burn out” at or after Harvard, the Office of Undergraduate Admissions urges students to consider taking a year off before they matriculate—and over 50 did so this year. For about 20 of these students, though, deferring is not an option, but a requirement. And their mandatory year off is not aimed to prevent them from burning out, but to ensure that they get in. This group of students, known within Byerly Hall as the “Z-list,” are plucked off the waitlist any time from May to August—after they have accepted offers of admission at other universities—and informed that if they are willing to take a year off, they can enroll at Harvard the following September. Harvard admissions officers say they choose to “Z” students—it’s a verb—when there is a consensus that the College cannot bear to reject them but there is simply no bed available for them immediately after they graduate high school. But if you talk to enough of these students whom the admissions office makes a special effort to bring to Cambridge, you’ll find they do have something in common: Their parents went to Harvard. The Crimson obtained information about the legacy status of 36 of the approximately 80 Z-list students at Harvard in 2001-02. Though McGrath Lewis insists the Z-list is “not a legacy list,” 26—or 72 percent of the 36-student sample—were legacies, compared with 12 to 14 percent of the class as a whole. Even if none of the remaining 44 or so Z-list students were legacies, 33 percent of the 80 students would be legacies—still well above the proportion of legacies in the class as a whole. College counselors at Harvard’s feeder schools—high schools that routinely send large numbers of students to the College—are nearly unanimous in characterizing the Z-list as Harvard’s preferred conduit for qualified legacy candidates who don’t make the first cut. Every university has a financial imperative to give preference to children of alumni, but college counselors and other Ivy League admissions officers say Harvard’s Z-list could not succeed at smaller or less popular institution. Other top colleges have special admissions programs in which applicants are asked to take time off or enroll elsewhere and then transfer, but no other Ivy requires students to take a year off and gets them to come in such high proportions—a testament to the College’s perennial superiority in admissions. And if a year off makes students more mature and better able to contribute to the College, then the Z-list allows Harvard to placate powerful parents without diluting the quality of its class. Z-listers are officially told by Harvard that the College wants to accept them but that there is simply no room in their matriculating class. If they are willing to take a year off, the letter reads, Harvard would love to have them the following year. But the 20 beds that could accommodate this year’s Z-listers are filled with last year’s Z-list. In other words, 20 or so slots are already set aside each year before Harvard even receives its applications—spots that otherwise could have gone to the candidates who will be put on the Z-list to enroll the next year. One conceivable reason to set up a system like the Z-list might be to single out a handful of talented students that the admission office feels may benefit from a year off even more than the average student. Others suggest students who were slightly immature and didn’t live up to their potential in high school may tend to be Z-listed. “Had achievement matched ability, they might have made it the first round, but there was just enough to make them vulnerable,” says Barbara G. Melvoin, former college counselor at Roxbury Latin School in Boston. But McGrath Lewis says there is no way to generalize about the composition of the Z-list. According to McGrath Lewis, the admissions office has no available statistics about the composition of the Z-list and has no desire to compile them. Based on Lewis’ estimate that 20 Z-listers come to Harvard each year, there were approximately 80 enrolled this past year. The Crimson was able to obtain information about the legacy status of 36 of these students, and 26 had parents who attended Harvard. Moreover, of 19 Z-listers The Crimson could not confirm to be legacies, all but four attended private high schools. College counselors at Harvard’s feeder schools say the list is dominated by legacy candidates and those with other connections. Melvoin says her students who were Z-listed were not all legacies, though they comprised a substantial percentage. In her experience, other types of “pull” often propelled students onto the list. Lily L. Brown ’04, a Z-listed legacy, says her college counselor told her when she was waitlisted that there was a strong possibility she would wind up on the Z-list. “She said, ‘This is something that they do a lot and I wouldn’t be surprised if this happened to you,’” Brown recalls. McGrath Lewis says she is skeptical of the counselors’ generalizations. “College counselors notice what they are looking for,” she says. She suggests that if the Z-list does fulfill “institutional needs,” it does so in a broad sense. She says admissions officers might Z an excellent physicist or lacrosse player if that person’s talents filled a gap in the class. But Case says it would make little sense for Harvard to put a lacrosse player on the Z-list, since the admissions office would not know how that applicant would stack up against the lacrosse players applying the following year. Some Z-listed students say their classmates are well aware of the predominance of legacy and other forms of pull on the list. Universities receive most of their financial support from dedicated alumni, whose goodwill can be compromised if their children are rejected. It is only by virtue of Harvard’s popularity and prestige that it can afford to reject the majority of legacy applicants. “Harvard has no problem turning to alumni and saying, ‘Your progeny didn’t make the cut,’” Breimer says. Yet as recently as 1997, Harvard still accepted about 40 percent of legacies —about triple the general acceptance rate at the time. The imperatives to prioritize academic excellence and to reward alumni would seem to be at odds. But the Z-list is a mechanism to accomplish both goals simultaneously. By virtue of being on the waitlist, Z-list students are by definition borderline candidates, part of the mass of eminently qualified applicants Harvard typically does not have room to accept. That they are capable of excelling at Harvard is not in question. “It’s not kids they’re plucking out of obscurity in the bottom half of the class because their parents gave a lot of money,” Breimer says. Other selective universities will often simply “buckle” and take such well-qualified legacies off the waitlist to enroll immediately, according to Ali Bhanji, Melvoin’s successor as director of college guidance at Roxbury Latin. In the letter, which Byerly Hall sends to every Z-listed student, Harvard extols the value of a year off between high school and college. The letter gushes over the attractive characteristics of students who have taken a year off. “Many come to college with new visions of their academic plans, their extracurricular pursuits, the intangibles they hoped to gain in college, and the many career possibilities they observed in their year away,” the letter reads. By adding a year of personal growth to the résumés of talented legacies not quite accomplished enough to accept in December or April, Harvard effectively augments their qualifications to the level of the students they will take the following year based on their high school achievements alone. And if the students do not accept the Z-list offer, Harvard has still extended one to them—a gesture critical to keeping alumni donations flowing. Harvard is hardly the lone outpost in higher education that recognizes the value of a year off. According to Breimer, the “time out” Harvard recommends has rapidly gained popularity among colleges and guidance counselors alike. Some other Ivy League universities have various programs of requiring deferred admission. Cornell guarantees some applicants they can transfer after a given period of time if they maintain a given grade-point average, and Brown accepts some students on the condition they start in February rather than September. But college counselors say Harvard uses deferred admission most effectively. “I have not dealt with any other school that Z’ed institutional priorities,” Bhanji says. The two factors that enable Harvard to take advantage of the Z program are its size and popularity, according to college counselors and admissions officers. The 20 Z-listers per year represent a tiny fraction of the 1,650 students in each Harvard class and—even if all 20 were legacies—less than one-tenth of the legacies accepted. If a smaller school instituted a Z-list primarily for legacies, there would be a danger of having a disproportionately high or low proportion of legacies in a given class if the Z-list yield were not accurately estimated. Moreover, the smaller a school, the tougher it is to find beds for students if the yield is underestimated. Fred Hargadon, dean of admissions at Princeton, says size is the critical reason why Princeton does not require some students to defer. Harvard’s other advantage is the fact that it is, well, Harvard. By the most commonly used gauge of selectivity, acceptance rate, Harvard does not appear to be dramatically ahead of its competitors. While Harvard accepts 11 percent of its applicants, 12 percent get into Princeton and 13 percent are admitted to Columbia and Stanford. But acceptance rate understates Harvard’s dominance in admissions, as it primarily measures the number of students applying for a fixed number of places rather than how difficult it is for top candidates to get in or where they choose to go. Harvard’s leadership is more evident in yield, the percentage of accepted students who choose to attend. Harvard’s yield is nearly 80 percent, while Princeton’s is 68 percent and Yale’s is 65 percent. And Yale and Princeton have binding early decision programs that inflate their yield, while Harvard’s early action program allows students who get in early to go elsewhere. The most revealing indicator of Harvard’s comparative popularity is its head-to-head performance against its competitors. 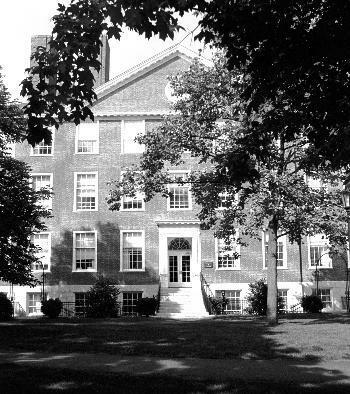 While exact figures for this year were not available, in previous years the ratio of students who chose Harvard over Yale, Princeton or Stanford was over three to one, according to Leverett Professor of Mathematics Benedict H. Gross, who serves on the faculty committee on admissions and financial aid. Because Harvard is so popular, the admissions office can contact students over the summer after they have already agreed to attend other universities, tell them they can change their minds if they take a year off they had no intention of taking and still get them to come to Harvard in high proportions. McGrath Lewis says she estimates the yield off the Z-list at over 50 percent, though most college counselors said they thought it was far higher. If Princeton were big enough to use a Z-list like Harvard, it might not be able to lure away those students who had already agreed to attend Yale. But when it comes to admissions, Harvard effectively has its pick of the litter. Stephen Singer, the head college counselor at Horace Mann School in New York City, recalls one student many years ago who was the son of an international business figure. The student was accepted at every school in the Ivy League save Harvard, which waitlisted him. When Harvard offered him deferred admission, he accepted immediately. Harvard may not sit atop the U.S. News and World Report college rankings—it is currently second to Princeton—but as the Z-list’s success shows, when it comes to admissions, Harvard is in an Ivy League of one. —Staff writer Dan Rosenheck can be reached at rosenhec@fas.harvard.edu. Moreover, of the 10 Z-listers The Crimson confirmed were not legacies and an additional nine about whom legacy information could not be determined, 79 percent went to private schools. College counselors at Harvard’s feeder schools confirm that the list is dominated by legacy candidates and those with other connections.